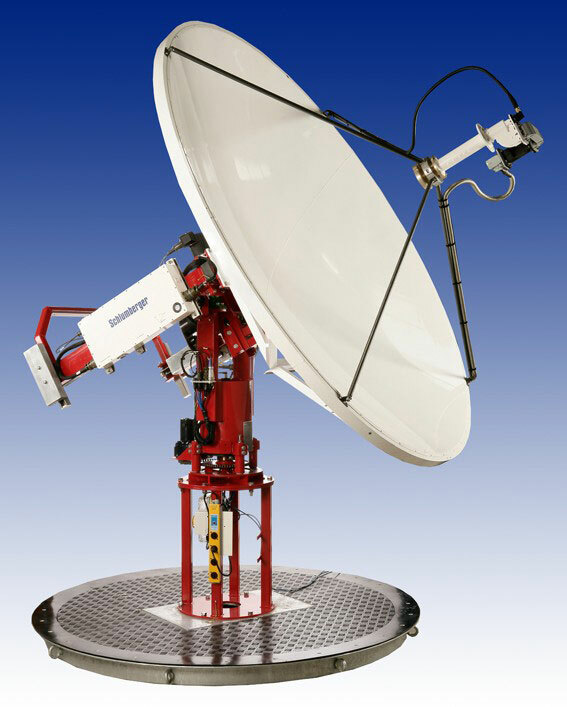 The Sea Tel Model 9797 radical offset antenna is a most efficient C-band, X-band and Ku-Band marine stabilized antenna. The Model 9797 is both INTELSAT and DSCS compliant. It is also available as a dual-band selectable C and Ku-Band system for complete flexibility. Innovative Radical Offset antenna technology provides unparalleled efficiency and performance. 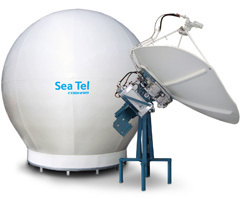 The Sea Tel 9797B uses the DAC 2202 Antenna Control Unit. The DAC 2202 is 19” rackmount unit (1.75” tall) featuring: (3) RS-232/422 Serial Ports; (1) full function M & C and (2) NMEA ports for heading, GPS input and modem compatible, reformatted GPS output; (1) Ethernet port allowing (2) full function TCP/IP M & C ports; (1) multi-user HTML interface port for setting all DAC parameters and viewing the current DAC status; (1) UDP download port for updating software in the Comm Interface. DAC 2302 is available for 70/140 MHz receivers. The C-Bird antenna has no radome, and can be assembled on deck by the crew. 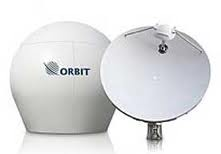 The new Orband AL-7107 is a 2.2m (87" dual-offset Gregorian antenna in a 2.6m x 2.7m radome. The antenna weighs 590 kg (1,300 lb)(including radome and 20W BUC). It is reported to have RF performance equivalent to a standard 2.4m antenna. 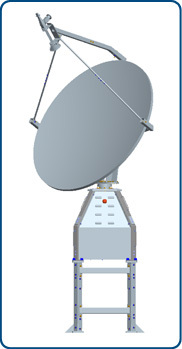 The AL-7107 supports C-Band circular and linear and Ku-Band linear feeds for global coverage. It supports automatic beam switching (ABS)with OpenAMIP protocol. The antenna control can be replicated to any remote PC onboard or on shore, enabling off-site technicians to remotely monitor and operate the system or carry out diagnostics. The antenna ships fully assembled (except radome) in a 20 foot container for rapid installation onboard the vessel. 26474 visits to this page since 28 Nov 2012.